LAVENDER PROBIOTIC DEODORANT CREAM | Pregnancy Safe | Allergy Friendly | Safe for Teens + Elderly | A smooth-as-velvet cream made to nourish skin deeply + prevent odor! Great for those with sensitivities to Baking Soda. This has about a 3-4 hour life span alone, but does not contain wax or coconut oil. With over 10 Active Probiotic Strains! Great alone or used along with any of my stick formulas. Adds extra protection and reduces irritation from shaving. Apply a tiny bit before applying your stick deodorant. I love using this right after I shave and then apply the Original later in the day. We all know that there are ingredients in commercial deodorant that are harmful to our bodies, but nobody wants to stink. If you also happen to have sensitive skin, you may not even be able to use many natural deodorant formulas. If you haven't seen recent research on Aluminum in Antiperspirant being harmful, please look into it. Probiotics take up the place on your skin that bad bacteria would normally inhabit (making you stink) - this skin-loving paste will leave your pits feeling soft + smooth + keep you from smelling. You will still sweat, and you are supposed to. Your body sheds toxins through your lymph system and sweat. Magnesium Hydroxide, the active ingredient in Milk of Magnesia. This mineral helps to prevent bacteria from growing as well as absorb moisture. 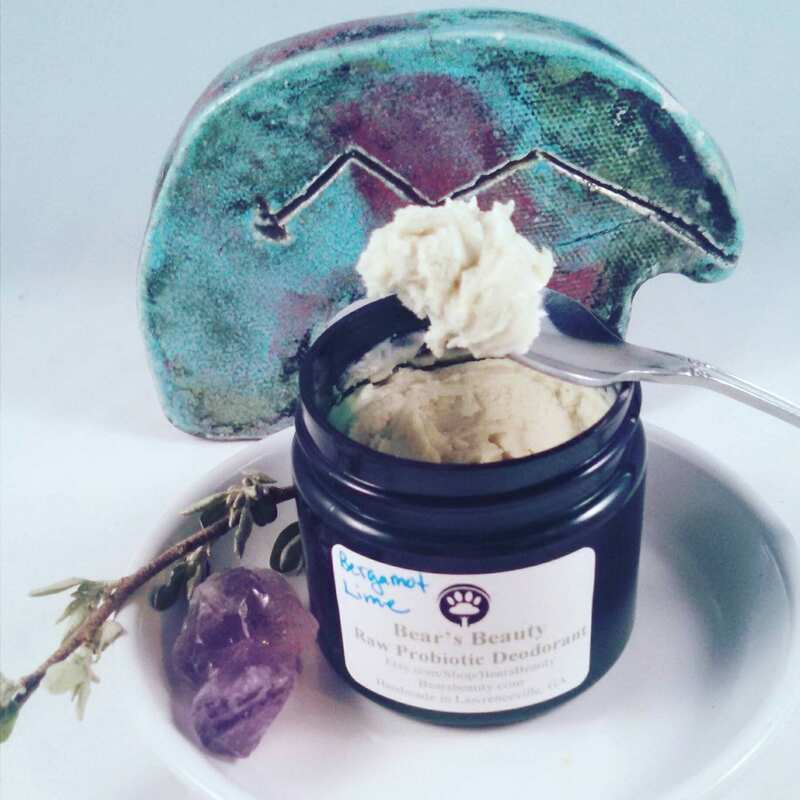 This skin-loving formula is made using a whipped Shea Butter and Hemp Seed Oil base, to nourish and protect skin. I then blend in Organic Sunflower Oil and Vitamin E to provide further nourishment and skin benefits. I have purposely not heated this formula, so it is also RAW & you get all the benefits from the Probiotics. Even shelf stable probiotics are heat sensitive, so by mixing cold, you assure you are getting the best possible results. 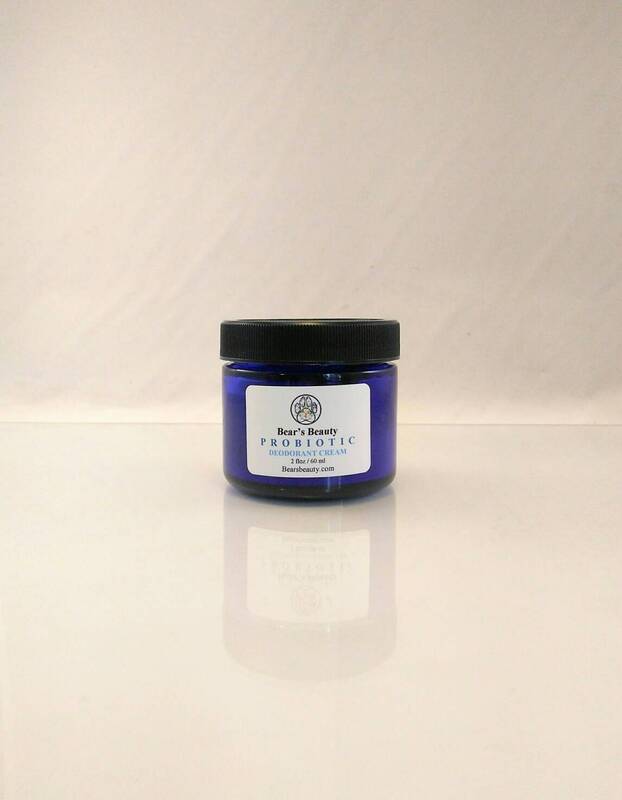 I have also added Organic Arrowroot Starch and Diatomaceous Earth to help absorb moisture and provide a silky feel to the cream. Organic Hops prevent bacterial growth. Apply a pea-size amount to each pit + rub in. (On hot summer days in GA I don't have to reapply for 6-8 hours ... and this is when I am really sweating.) This deodorant works by staying on your skin, once it is absorbed, you will have to apply more. It is such a joy, you won't mind.